At 84, Bob Fiske no longer plays ice hockey, but he still has a regular tennis game and enjoys biking and cross-country skiing. He claims to be retired, but he comes into the office regularly to help younger lawyers with brief writing and oral argument and to work on a pro bono case or two. Bob Fiske is an extraordinary lawyer and a terrific person. He would undoubtedly be on many lists as one of the best lawyers of his generation. He was an associate at Davis Polk from 1955 to 1957; an Assistant U.S. Attorney from 1957 to 1961; an associate and then a partner at Davis Polk from 1961 to 1976; the U.S. Attorney for the Southern District of New York from 1976 to 1980; returned to Davis Polk as a partner from 1980 to 1994; served as the Whitewater Independent Counsel in 1994; and then returned to Davis Polk in late 1994, where he spent the rest of his career, stepping down as an active partner at age 80. During that long and distinguished career, he prosecuted many famous cases, he defended many famous cases, both civil and criminal, and he was president of the American College of Trial Lawyers, chair of the American Bar Association Committee on Federal Judiciary, and served on many committees and panels. He was also president of the Federal Bar Council and a recipient of its Emory Buckner and Whitney North Seymour awards. Bob has written a book about his life, called “Prosecutor, Defender, Counselor.” We sat down with him recently to discuss the book and his career. Bob originally set out to write the book for family and friends, but a number of people heard about it and encouraged him to publish it for a broader audience. After giving it some thought, Bob felt that it would be good to write something that might resonate with younger lawyers, showing them the virtues of a life that combines a career in private practice with public service. Here are some of the highlights. Bob is the consummate mentor, and in our discussion – as well as in the book – he described some of the mentors that influenced him. One of those was J. Edward Lumbard, who took over the U.S. Attorney’s Office in 1953. At the time, the office had become somewhat “lackluster” and appointments required the support of local politicians to get the job. Some AUSAs even maintained private practices while working as part-time prosecutors. Lumbard fired about 45 of the 50 lawyers in the office and hired a group of talented and highly motivated young lawyers, bringing the office back to the way it had been under Emory Buckner – and as it has continued ever since. Bob participated in the first summer program of the office and caught the bug that led to a long and rewarding career as a prosecutor. During that summer, Bob worked on a narcotics case against a major drug dealer named Tony DeAngelo under the tutelage of Fred Nathan. Bob says, “no one could have asked for a better experience.” Bob wrote memos, participated in witness interviews and sat through a two-week trial that resulted in a conviction – the first victory of many in a distinguished career, although Bob was only an observer. 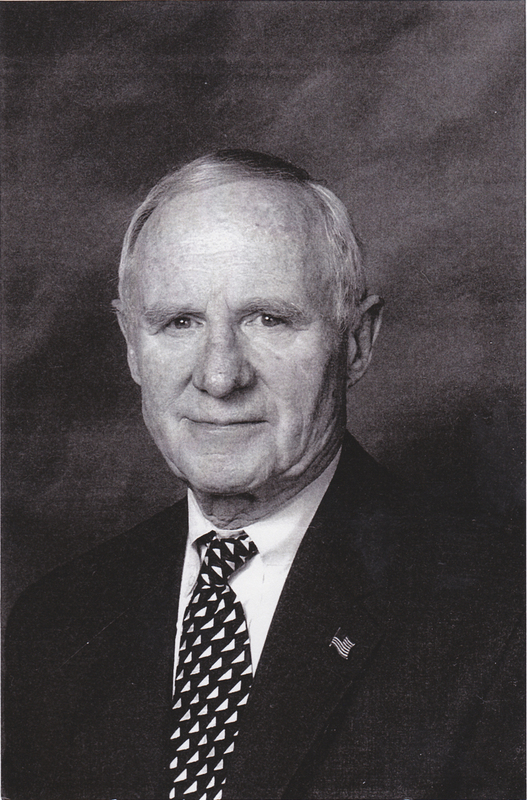 Another great mentor for Bob was Hazard Gillespie, whom he worked for at both Davis Polk and as an AUSA when Gillespie was U.S. Attorney. Bob credits Gillespie with teaching him legal skills and trial advocacy; he recalls Gillespie telling him that “the most important part of a brief is the statement of facts; write that convincingly and you are 90 percent there, because if the judge thinks you should win, he will find the legal principles to support your position.” Gillespie also taught him the importance in oral argument of “going for the jugular,” and how to be an aggressive and effective advocate while being courteous and civil to adversaries. A third mentor was Lawrence Walsh, whom he described as an “out of the box” thinker before anyone even knew what that meant. Walsh taught Bob to step back from the case and look at it the way an objective trier of fact would look at it. He also taught Bob the importance of bringing out the bad facts – and dealing with them the best way you can – before an opponent does. Although not exactly a mentor, Bob also mentioned Whitney North Seymour Sr. as a person who made an enormous impression on him. When he was a first year associate at Davis Polk, Bob went to a meeting at which Seymour, a giant of the bar, was present along with many other lawyers. Bob introduced himself to Seymour, and Seymour said, “I’ll tell you what; I’ll call you Bob if you call me Whit.” At a subsequent meeting, again with many lawyers, Seymour greeted him by saying: “Hi, Bob.” Bob thought it was extraordinary that this person, who was one of the leading members of the bar, would make the effort to remember the name of a junior associate from another firm. That episode had a profound impact on Bob. In our discussion, Bob observed that legal skills are important, but it is also important to treat people fairly and with respect. “If you do that, you develop a positive reputation that can lead to professional success.” Bob’s career is a compelling illustration of that. After joining Davis Polk in 1955, Bob’s first case was defending his friend Bill Donaldson, who later became chair of both the New York Stock Exchange and the SEC. Donaldson was working as an assistant for G. Herbert Walker, the grandfather of George Herbert Walker Bush, but an important part of his job was chauffeuring Walker in his car. Donaldson had gotten a speeding ticket – a conviction would cause him to lose his chauffeur’s license and maybe his job – so Bob’s storied career as a trial lawyer got its start in Bronx Traffic Court. Bucking the conventional wisdom, Bob put his client on the stand and the judge acquitted him. Donaldson showed his appreciation by writing a letter to the managing partner of Davis Polk on the letterhead of his company, telling the managing partner that Bob was a rising star. The managing partner apparently did not realize that Donaldson was a lowly assistant and was very impressed. Bob’s career had gotten off to a good start. Bob went on to do work for longtime Davis Polk clients J.P. Morgan and Esso, predecessor to Exxon. The Esso case was an antitrust case, and Bob spent many hours reviewing documents. It is not surprising, therefore, that when Second Circuit Judge Lumbard called in 1957 and told Bob he should go to the U.S. Attorney’s Office, Bob took his advice. Bob had a trial in his first month at the U.S. Attorney’s Office, a forgery case before the legendary Judge Edward Weinfeld. Some people said Judge Weinfeld was like the Old Testament God, both in appearance and the intimidating impact he had on young lawyers. Judge Weinfeld criticized Bob for “overtrying” the case, but Bob won and remembers the lessons he learned from Judge Weinfeld to this day. Bob’s first big case at the U.S. Attorney’s Office involved the re-trial of Henry “the Dutchman” Grunewald, a Washington influence peddler who had been involved in a tax fixing scandal during the Truman administration. The case had come back to the office after a Supreme Court reversal of the original conviction. The first trial – in which Bob was second chair – resulted in a hung jury, and the second trial, in which he was lead counsel, resulted in an acquittal. Bob was devastated, but he took some solace in an invitation to visit chambers from the trial judge, Judge Edward Dimock, who told Bob he had done a great job and had won in a vote of the judge’s law clerks. Shortly after that, Bob’s mentor at Davis Polk, Hazard Gillespie, became U.S. Attorney and appointed Bob Assistant Chief of the Criminal Division and later head of the Organized Crime and Racketeering Section. Bob went on to try several major cases, including the conviction of organized crime figure John Dioguardi, or “Johnny Dio,” who had conspired to throw acid in the face of labor columnist Victor Riesel. Bob’s cases made headlines in the New York papers, convincing him that trading document review for the U.S. Attorney’s Office was a good choice. John F. Kennedy was elected President in 1961, so it was back to Davis Polk for Hazard Gillespie and Bob (Bob has always considered himself to be a moderate Republican). As luck would have it, Bob’s first assignment was to work on a major document production, but it was kind of a test to determine whether his heady experience as an AUSA would make it difficult to return to the mundane practice of law. Bob is not one to shy away from rolling up his sleeves and getting his hands dirty, so he easily passed the test and soon became a partner, working on a wide variety of cases that took him all over the country, including the electrical equipment antitrust cases, the Texas Gulf Sulphur insider trading case, the thalidomide cases, the tobacco price-fixing cases, the cholesterol drug cases, and a suit against the New York Stock Exchange and the American Stock Exchange for objecting to the trading of listed stocks on the NASDAQ market. The enormous breadth of Bob’s experience stood him in good stead. With the support of Harold “Ace” Tyler, who had been a federal judge and then became Deputy Attorney General, Bob became the U.S. Attorney for the Southern District in 1976. When he arrived at the office, he was struck by the extraordinary quality of the team inherited from his predecessor. He made up his mind that he would be a hands-on manager and show his staff that he really cared about them – not just in terms of their work as AUSAs, but about their futures after they left the office. He thought it was very important to stand by his people even when they made a mistake. He also thought – like Judge Lumbard – that trying cases personally was an important part of leadership. One of his major cases was the trial of Leroy “Nicky” Barnes. Nicky Barnes was a Harlem drug dealer, known as “Mr. Untouchable” because he had been acquitted four times in prosecutions at the state level. A team of AUSAs – including Tom Sear, Bob Mazur, and now federal judge Denise Cote – had been preparing the case for trial, but in June 1977 the cover story of The New York Times Sunday magazine featured a picture of an arrogantly posed Barnes with the caption: “The Police Say He May Be Harlem’s Biggest Drug Dealer, But Can They Prove It?” President Jimmy Carter saw the article and told Attorney General Griffin Bell that he thought it was the most important case in the country because if the government couldn’t put someone like this away, there was something wrong with the administration of justice. That led Bell to reach out to Bob, who decided that he should join the trial team. The trial lasted three months, and included an anonymous jury, which had never been done before. A number of the government’s witnesses – who were cooperators – had serious credibility problems, but the government was able to overcome that by sequencing the witnesses very carefully so their testimony fit together and made sense. The government won and Barnes was sentenced to life without parole, but Barnes later decided to become a cooperator and entered the witness protection program after serving 20 years in prison. There were movies, documentaries, and television shows about the case, including an interview with Mike Wallace on 60 Minutes. Bob was a media star, although he is the last person who would aspire to that goal. Another case that Bob tried involved Anthony Scotto, who was president of the longshoremen’s union. Scotto had been accused of taking bribes from companies doing business on the waterfront. The evidence of payments was clear, but Scotto claimed that he was collecting money for various political candidates. Scotto’s lawyer called as character witnesses a number of well-known politicians, including former New York City Mayors Robert Wagner and John Lindsay and the sitting New York State Governor Hugh Carey, all of whom Scotto had supported in political campaigns. The result was a guilty verdict and the further enhancement of Bob’s reputation. Bob explained that a U.S. Attorney can only do a lengthy trial if he has talented leaders of the Criminal and Civil Divisions to run the office (except for matters dealt with in the evenings or on weekends). Bob was grateful that he had such leadership. One of his great skills is knowing how to delegate while exercising the right level of supervision and control, and inspiring people to do their best. Bob was U.S. Attorney for only four years, but the impact he had on that office makes it seem as if it was longer than that. Among the things that Bob takes great pride in are the subsequent accomplishments of the people who worked with him in that office – both in public service and in the private sector. Upon returning to Davis Polk in 1980, Bob became one of the leading litigators in the United States for both civil and criminal cases. One of his most important cases was the Three Mile Island case, where Bob represented Babcock and Wilcox, the company that designed a nuclear power plant that suffered an accident that almost resulted in a meltdown of the nuclear core. The case required Bob and his team to learn everything they ever wanted to know but were afraid to ask about nuclear power plants. In the third month of trial, the plaintiff approached Babcock and Wilcox about settlement. The plaintiff agreed to drop its $2 billion claim in return for an option for future supplies with discounts, which, if exercised, would have been profitable for Babcock and Wilcox, and which the plaintiff never took advantage of. Among the lessons of the case were the importance of thorough preparation; litigating on the offensive; the benefits of a “zone defense,” where each player on the team has a discrete area of expertise; and the advantage of saving some of the best evidence for trial, (not using it in depositions) so you can surprise witnesses on the witness stand. Bob followed up the Three Mile Island case with U.S. Football League v. National Football League, where Bob was co-counsel representing the National Football League. The claim was that the NFL had monopolized professional football by preventing the USFL from getting television contracts for the fall. The jury found liability but awarded damages of only one dollar. According to Bob, when the verdict was announced, John Mara, the son of New York Giants owner Wellington Mara, seated in the audience next to Donald Trump, the owner of one of the USFL teams, turned to Trump and handed him a dollar bill. During this period, Bob had time to run a marathon and serve as chair of the ABA’s Judiciary Committee. The committee was responsible for reviewing and expressing an opinion on the qualifications of persons nominated for federal judgeships. While Bob was chair, the committee found unqualified several conservative candidates for courts of appeals. That provoked a storm of protests from conservative groups, who felt the decisions had been made on the basis of ideology. Bob’s term on the committee ended in August 1987, but he agreed to stay on in an unofficial, non-voting capacity while the committee reviewed the nomination of Robert Bork to the Supreme Court, which was very controversial. The committee rated Bork “well qualified,” but four members dissented, finding him “not qualified” because of judicial temperament. This created another firestorm. Bob had previously been on the committee when it had unanimously found Bork to be “exceptionally well qualified” when Bork was nominated for the D.C. Circuit, and expressed his support for Bork in the meeting on the Supreme Court evaluation, but he was one of the people who were subjected to criticism by conservatives when the Senate Judiciary Committee refused to approve the nomination. This criticism continued to haunt Bob when Attorney General Richard Thornburgh picked him to be Deputy Attorney General during the first President Bush’s administration. This engendered another storm of protest from the right, and Bob was forced to withdraw his nomination. President Bush wrote Bob a letter in which he expressed his distress at what Bob had been through and said, “Sometimes public life is great and rewarding – sometimes it is ugly and unkind.” Bob appreciated the letter but accepted the result and moved on with his life, acknowledging that sometimes the ugly and unkind come with politics. 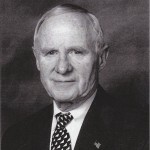 In 1989, Bob was called upon to represent David Brown, a former Cravath associate who had become chief executive officer of General Development Corporation (“GDC”), the largest real estate developer in Florida. Brown had received advice from Cravath that GDC’s sales practices were lawful, but the U.S. Attorney’s Office in Miami disagreed. The government indicted the company, which pled guilty and went into bankruptcy, and the four top executives, who went to trial. In the ensuing 10 month trial, advice of counsel was a major part of the defense, but the trial judge severely restricted the evidence, including an opinion from a Florida court in a civil case that agreed with the advice that Cravath had given. In the end, Brown was acquitted on 72 substantive counts of mail fraud and wire fraud but convicted on one count of conspiracy. He was sentenced to five years in jail, and both the trial judge and the Eleventh Circuit denied release pending appeal. The appeal was argued three years later, and the presiding judge repeatedly asked the government, “Where is the crime?” Not receiving a satisfactory explanation, the presiding judge stated at the end of the argument that he would entertain another application for release pending appeal, which was granted the next day. Several months later the decision came down reversing the convictions and dismissing the indictments on the ground that no crime had been committed. Bob calls the day of the argument on appeal “one of the most gratifying days of my legal career.” The prosecutors urged the Solicitor General to file a certiorari petition, but he refused to do so. In January 1994, with the Independent Counsel Act having expired, Attorney General Janet Reno appointed Bob to be the Independent Counsel to investigate the Whitewater controversy and the death of Vincent Foster. Bob assembled a team that included Rusty Hardin, who later gained considerable attention as the lawyer for Arthur Andersen in the Enron scandal and his representation of Roger Clemens in his perjury trial. Early on, Hardin succeeded in obtaining a guilty plea and cooperation from David Hale, a Little Rock municipal judge and operator of a Small Business Administration company that had loaned money to Susan McDougal, whose husband had invested with the Clintons in the Whitewater development. This led to an expanded investigation and, eventually, a request to take the testimony under oath of President Clinton and the First Lady, Hillary Rodham Clinton. The depositions were read to the grand jury, so their contents are secret, but Bob did reveal that his first question was, “You are the President of the United States?” – a question he acknowledged made that deposition pretty unique. In June 1994, the Independent Counsel statute was re-enacted, which meant that the Independent Counsel court had to revisit the appointment of the Independent Counsel. Much to Bob’s disappointment, the court appointed Kenneth Starr. Bob was not totally surprised because there had been criticism from conservatives that he was not aggressive enough, but Bob points out that in the eight short months he had the job, he and his team had assembled enough facts to lead to eight indictments against 11 people, including Associate Attorney General Webster Hubbell and Arkansas Governor Jim Guy Tucker. All of the indictments subsequently were brought by Ken Starr and all of the defendants were convicted. When we asked Bob whether he would have taken the investigation in the direction that Starr ultimately pursued, he responded by saying, “I have never commented on any aspect of Ken Starr’s investigation,” reflecting another Bob Fiske characteristic – he is always discreet. After the Whitewater episode, Bob returned to Davis Polk where he was soon thrust into one of the most interesting assignments of his career – the investigation of Judge John McBryde, a federal judge in Ft. Worth, Texas. Judge McBryde had been accused of abusing lawyers who appeared in front of him, holding one prosecutor in contempt, castigating lawyers for not settling cases, and excoriating the clerk of the court for conduct he deemed not respectful. The Fifth Circuit Judicial Council retained Bob to defend it against a mandamus petition filed by Judge McBryde and to investigate his conduct generally. The investigation resulted in a report and recommendation that led to a public sanction and an order barring Judge McBryde from taking any new cases for a year – described in a court opinion as the most extreme sanctions ever imposed on a federal judge since the underlying law was enacted. Judge McBryde challenged the merits, and the constitutionality, of these actions, but those challenges were rejected, both administratively and in a District of Columbia decision that was upheld on appeal by the D.C. Court of Appeals. During the next 10 years, Bob was involved in a number of high profile matters, including several cases successfully litigated for the principal owners of the Mets, such as a suit to obtain 100 percent ownership, a suit permitting them to start their own network, and, finally, a successful defense of the claim made against them in connection with the bankruptcy of the brokerage firm owned by Bernie Madoff. Those cases, as well as others, demonstrated something everybody knew throughout Bob’s long career: If you are in trouble and can hire any lawyer in the world, Bob Fiske is the person to call. Editor’s Note: Laura Sayler assisted in the preparation of this article.